While most think of creative people as “right-brained” or artsy, creativity exists within all of us – even the most logical, linear thinkers. They work when the work comes to them…meaning that they only paint, draw, write, sew, dance, or write out business plans when they feel like it. Creative people know the mind performs best in small bursts of concentrated work. They probably don’t have a “normal” job. The creative spirit feels dampened by a job in which it doesn’t get to roam free and do as it pleases. Many creative types turn to entrepreneurship to make money, because it fulfills their soul while still allowing them to get paid. They never stop questioning. The creative mind always wonders and always wanders; creative people have highly active imaginations, and ponder the big AND small questions in life. They want to know it all. They aren’t afraid to fail. They don’t even see failure as a bad thing, because they know that the only way to grow in life is by putting yourself out there and making mistakes. They are very independent people. They don’t like being told what to do or when to do things. They work best alone and feel totally confident walking their own path in life. They are risk-takers. Creative people don’t just love doing new things, they actually seek out dangerous or uncomfortable opportunities because this makes them feel alive. It unlocks new doors of creativity, and might even give them insight into previously undiscovered talents. They use their pain to fuel their passion. Creative people have likely been through very hellish and traumatic experiences, but these experiences give life to their work. They feel inspired by what they learned from their setbacks, and transmute the negative energy from the pain into something positive. They practice self-development. Imaginative people know that a foggy, unproductive, negative brain will block their creativity and not allow them to express themselves fully. They read self-help books, practice mindfulness, meditate, do yoga, and say positive affirmations. They know that a positive attitude is the cornerstone of achieving a high level of creative success. They daydream. Creative people let their minds wander, and don’t ask any questions until later. They simply enjoy traveling to new lands and thinking up new concepts through their imaginations, and know that daydreaming can lead to the most profound, unparalleled ideas. They enjoy spending time alone. Most creative people are seen as loners or misfits, and never really fit in to any stereotype or clique. While this may not always be the case, creative people usually feel most comfortable in solitude because they do their best work in their own company. They aren’t afraid of being different. They know they’re different, but they wouldn’t have it any other way. They own their uniqueness, and feel honored to show it off. They only want friends who uplift and inspire them. They don’t want to be around people who don’t have big dreams and visions – they seek out friendships with people who they can bounce ideas off of and who truly understand their soul. They often act before they think. Despite the stereotype of creative people, most of them actually take huge leaps of faith without going through all the scenarios in their minds first. Why? Because they know that they must live it, not just think it, in order to reach their goals. They do things most people aren’t willing to do. They don’t give up easily, they put themselves out there, they fail over and over again but see it as growth, and they put in hard work even when they’re tired. Creative people are troopers; they have a strong will and don’t let anything stand in their way. They have a “yes” mentality. They say yes to life, because they know this will create more opportunities for them. They do things even when they’re scared or unsure – they realize that momentum coupled with a positive attitude create the perfect mixture for exciting things to happen. They have a strong work ethic. They might work fifteen or more hours a day, depending on how they feel. They know that dreams don’t work unless they do. They are complex people. They might feel that no one understands them, but they don’t care. They have an intricate web of personality traits and deep emotions, but they feel proud to have so many layers. They think this makes them a more interesting person! They get bored with the same old routine. They thrive off of new experiences, and actually cringe and feel caged in by doing the same things at the same time, day in and day out. They move around a lot. They don’t like staying in the same place too long, because their creative energy thrives off of new places, faces, and activities. They are highly emotional, intuitive people. Most creative people identify with being an empath, or highly sensitive person. They feel things very deeply, and let out their emotions through their creative work. They may have a hard time falling asleep. Because of their active brains, they might stay up into the early morning hours some nights, either working or just thinking. They take care of themselves. They realize their creative energy can’t move through them if they don’t keep their mind, body, and soul healthy. They likely care about their diet, exercise often, and meditate daily. Life means nothing to them if they don’t follow their heart. They don’t relate to people who see everything as a means to an end. To them, their passion is both the means AND the end. They live life on the edge. They know that they must always feel excited and challenged in life in order to live to the fullest. They want to live a life that is anything but ordinary. 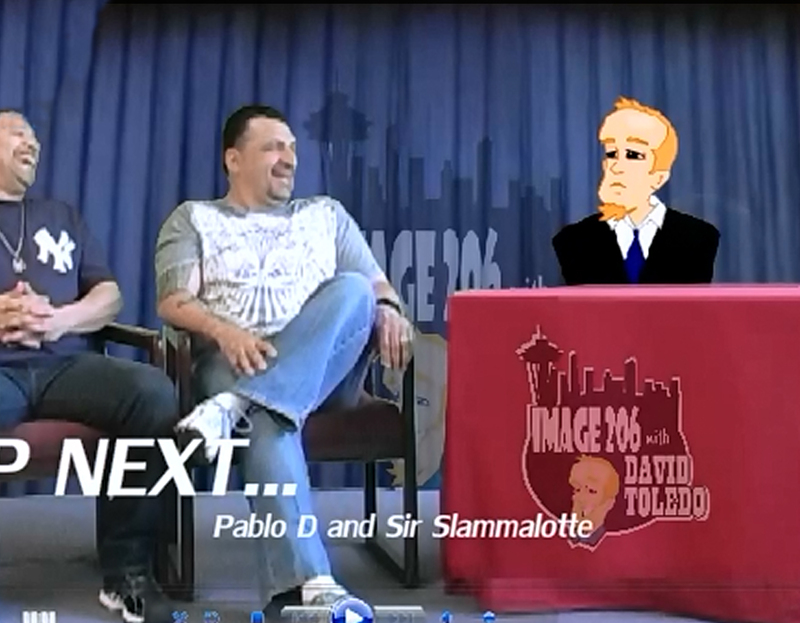 Screen Shot from the David Toledo for City Council Cartoon. 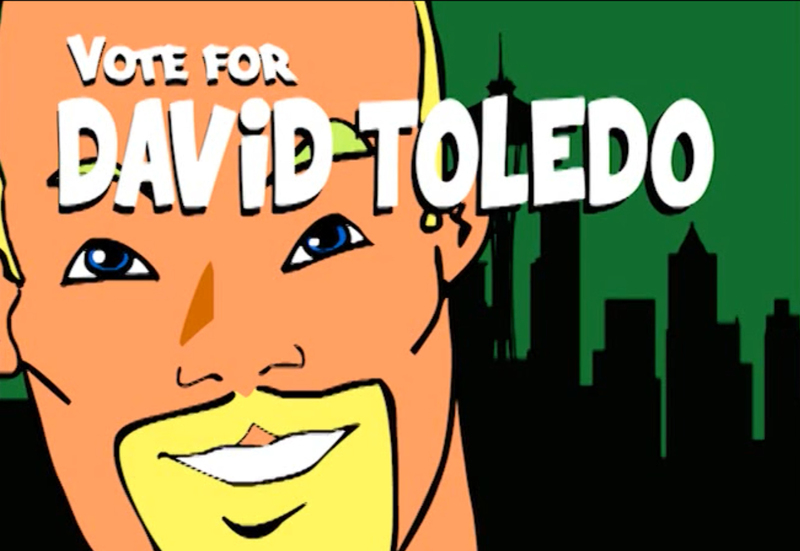 February 11, 2015 The campaign commercial announcing that David Toledo has joined the race for City Council is possibly the most creative and fun piece of campaigning we’ve ever seen. 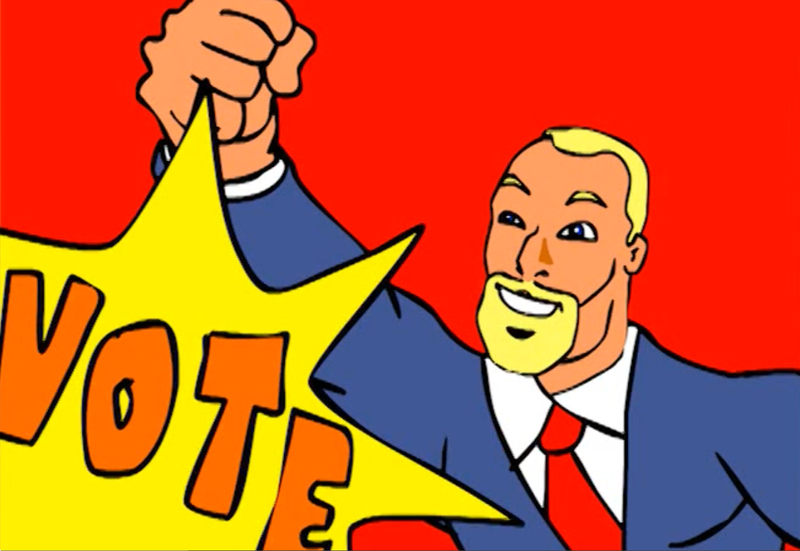 The 1-minute throwback gives a nod to the batmanesque style of the 1960’s with a video that shows how a little creativity and a sense of humor can make even politics fun. 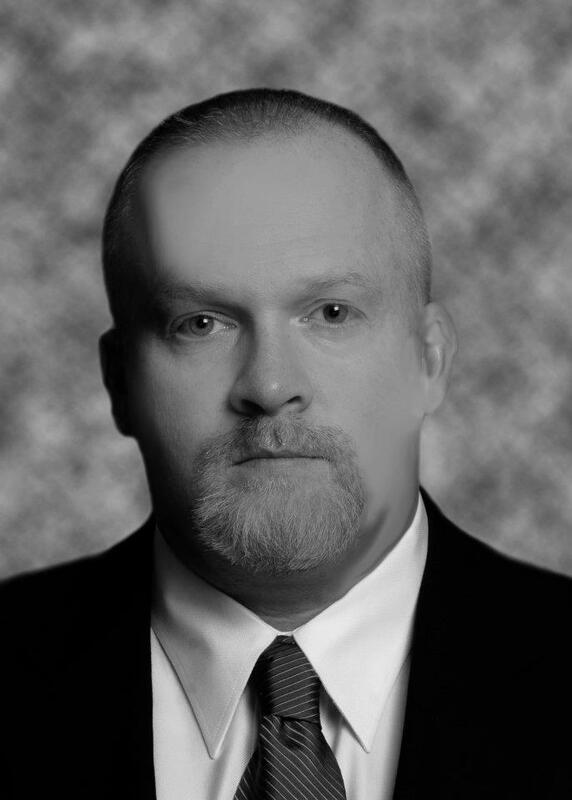 But don’t think of Toledo as all flash and no substance; it only takes a Google search or a visit to the www.WeVoteToledo.com website to see that Toledo has the small business, community advocacy, and public policy experience to make him a serious contender for the seat. Toledo is joining an already crowded race in District 5, but Toledo does have the advantage of being the only candidate with a 40-year history of actually living in North Seattle. David Toledo’s website gives a chronological account of his family’s community involvement during those 40-years, including his mother’s establishment of soup kitchens and a self-funded food bank to help North Seattle neighbors during the economic crisis of the late 70’s. Also David’s founding of Unified Outreach in 1998, a charity which for the past 17 years has provided services to elder care centers, homeless shelters, and a variety of youth arts programs aimed at helping low income and at-risk youth. Other candidates for the position include Low Income Housing Institute recruiter Mercedes Elizalde, Planned Parenthood field organizer Halei Watkins, gun control activist Sanford Brown, and Mian Rice (the son of previous City Council Member/Ex-Mayor Norm Rice).